Above you'll find another update on the oil production in the 4 major US shale oil basins. You can see the total oil production from 31650 selected horizontal wells, in the 4 most prolific US shale oil basins, that started flowing since 2007, up until December 2015. In total, these wells have produced 3.6 giga barrels of oil so far. I included wells from a few more counties (Colorado & New Mexico), which increased the total number, compared with my last update. In the future I aim to include more horizontal wells from the Permian in Texas, which is now only partially covered (but still > 50% of the recent horizontal wells there are included). The data so far shows small production drops since March 2015, and a significant decline in December, although I do expect revisions, especially coming from Texas. Another thing you can see is that oil production from the wells that started before 2015 dropped from 3.2 million bo/d in Dec 2014, to 1.6 million bo/d one year later. On the "well quality" tab, you can see the performance of all these horizontal wells, grouped by the year in which they started production. I will repeat again my observation that, based on the data so far, it appears that recent wells have a higher initial production, but that by year 1-2, the average well follows very closely the production profile of earlier wells. Note that this effect can be seen for each of the 4 basins separately as well. I regularly see claims that based on this better performance in the first 1-6 months, a much higher final output (UR) can be expected, but I can't find much support in the data for these claims. Instead, it appears that the higher initial output may translate into a one-time early gain, and it remains to be seen how this gain is affected later on. If someone can substantiate a different view on this, I would like to hear it. There are many ways to view this well productivity; I recommend playing around with the "Group wells by" option, and with the filters. E.g., by selecting "Group wells by" formation, you can see the difference between the average horizontal well in these 4 basins. Spud. This indicates that a well is spud, but not yet producing. This status is unfortunately not yet available for wells within Texas, so it only covers the other areas. Plugged. This indicates that a well has been plugged. This status is also not yet complete, so some of the inactive wells are actually already plugged. I will improve this information in the future. Next week Thursday (May 12th), I plan another update on the Bakken. I take it the ultimate reserves range between 7 and 1o BSTO? If my guess is right the worldwide shale oil potential looks to be less than 100 BSTO unless oil prices move way above $120 per barrel. I have no data on the reserves, nor looked at that; I like to stick to the actual production data, although I’m considering to add some near-term projections as well. Great website and data you collected here. Just wondering how do you ensure the accuracy of the data? When I checked the production for individual companies, I often found the total production shown in your chart is different than the one company reported. For example of Oasis, the 2015 reported production is 50k boepd. However, on your chart it has production of over 55 to 60k boepd. I also checked a few others which have opposite issues where the reported production level is higher than the chart. I take accuracy very seriously, and hope that people do report when they suspect an issue somewhere. I have been collecting data for some time now, especially for North Dakota, and shared that data with a group of people. I advised them to compare that data with the official data, and some of them have done so regularly, and never have they come up with issues with the production data. But, there is always a chance that there is an issue somewhere, even though I don’t have to do complicated stuff with the data most of the time (especially outside Texas). If you like to do some verification yourselves, you could take a well as it is reported by one of the regulators. Next, you could try to find that well in my data, by narrowing down the well profiles to just get that single well, e.g. by filtering on operator/field/starting period. That may be a little cumbersome, but perhaps if you verify the results in this way for a couple of wells, it may increase your trust in this data. In the future I may be able to provide even more transparency, by directly providing the gathered well data (although in that case I would ask a small fee for that). About Oasis and other operators : it is important to understand that what I report here are the total volumes produced from these wells, as that is what the regulators report as well. To get to the amount that the operator can rightfully claim, you need to take into account the working interest that the operator has in the wells (and also take into account that an operator may have stakes in non-operated wells). Royalties are subtracted from the produced volumes, before they are shown on the financial statements of the operator, so that is a big piece of the difference. Thanks for the response. 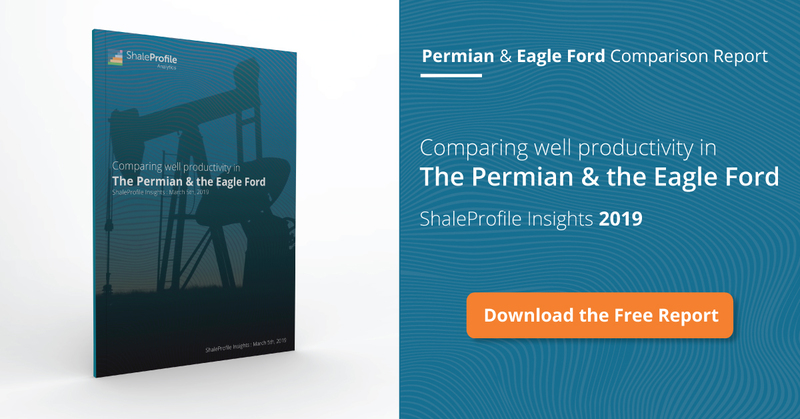 I am doing company analysis on the E&P companies and found your site quite useful when trying to get a better understanding for the individual company’s production history (and making a forecast out of it). So I’d be happy to do some cross checks for you on what the company has reported publicly and the data shown in your chart. Understanding it is not apple to apple comparison since 1) not all wells (outside your current coverage regions) are reported 2) your data is on the gross well instead of WI level. So these things need to be taken into consideration before making any useful comparison. I only report oil for now, although I may add gas production in the future. But I will never combine gas with oil production, as I belief that gives rise to serious distortions.